First and foremost we hope that this holiday season you will shop local as much as you can. That being said if you are not and you are using Amazon please consider using www.smile.amazon.com when you make your purchases. This simple step will donate 0.5% of your purchase total to the charity or nonprofit of your choice. In the past I have had Heifer International as my selected charity. 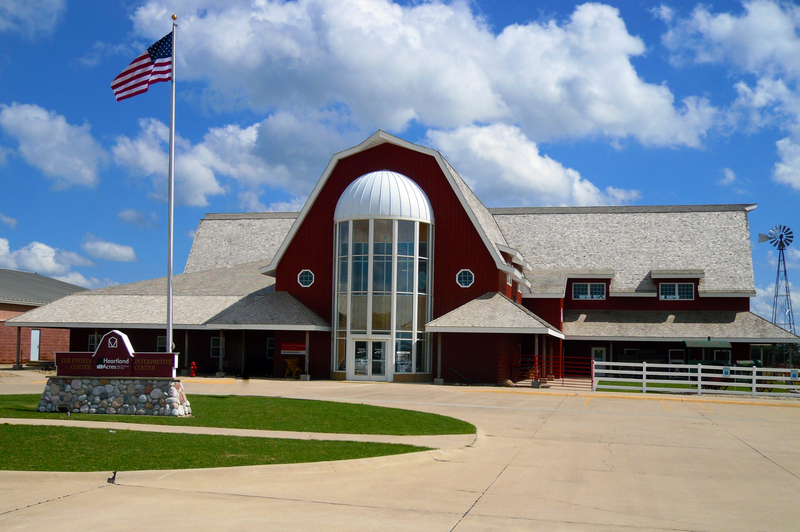 Today I found I could change that to an organization very near and dear to my heart, Heartland Acres Agribition Center. Heartland tells the story of Iowa’s agricultural past, present and future. This is a great place for consumers who do not have a connection with agriculture to learn a little about what we do. Of course I would be delighted if you made Heartland your choice for your Smile purchases but if you choose something else that is a win as well. Amazon is obviously making money hand over fist and when they offer a chance to give back we need to take it even if it is only 0.5% at a time. There is no such thing as a small impact if you care.